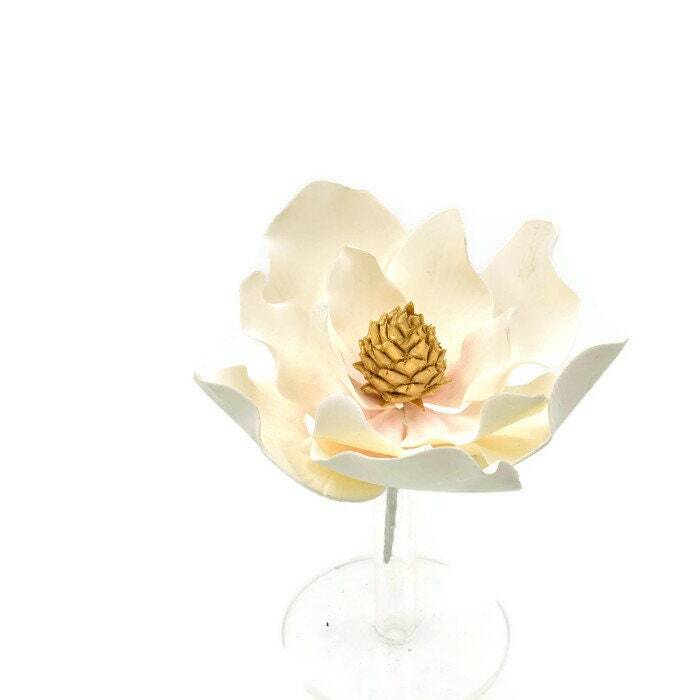 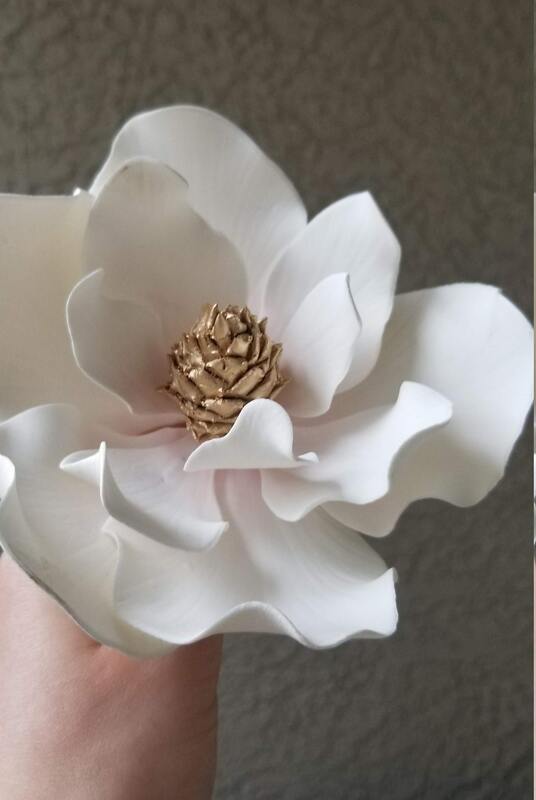 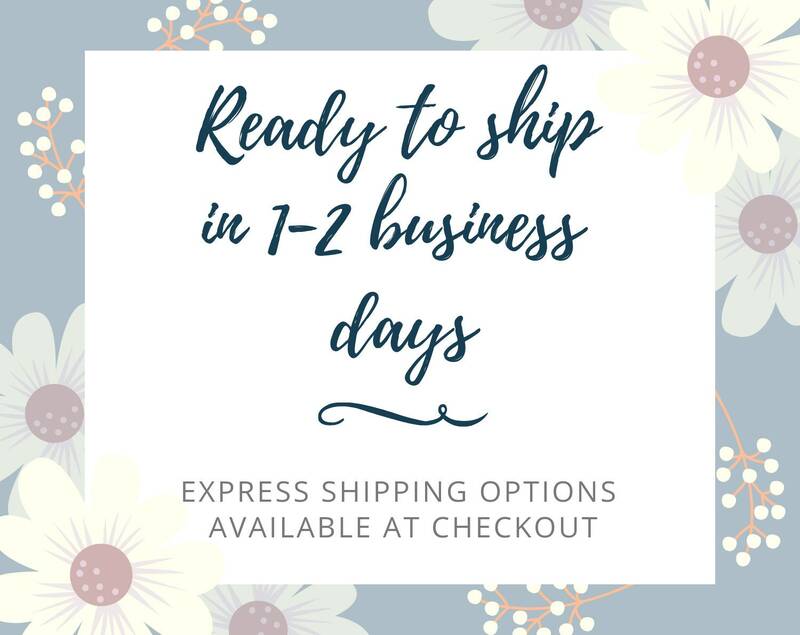 This handcrafted magnolia sugar flower is sure to add an elegant touch to your wedding cake with hints of blush and gold. 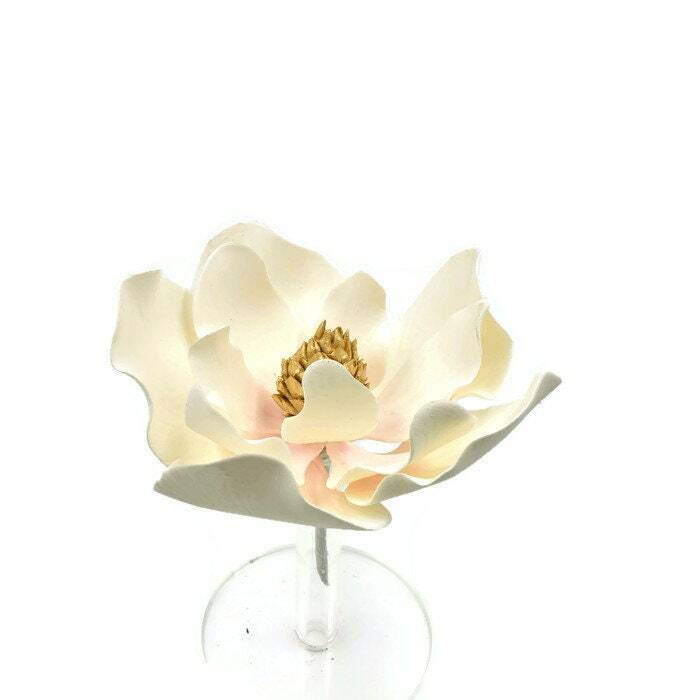 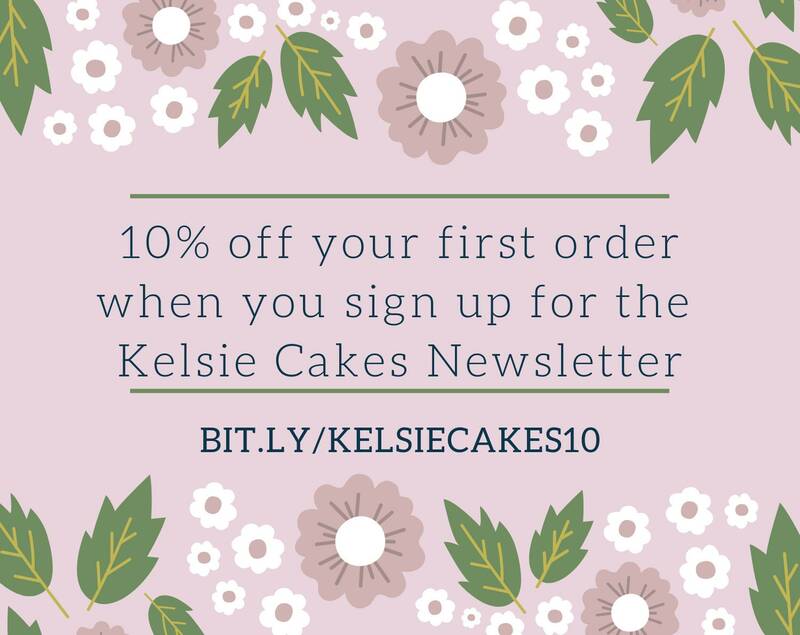 The flower is made on flexible floral wire for easy placement on your cake. 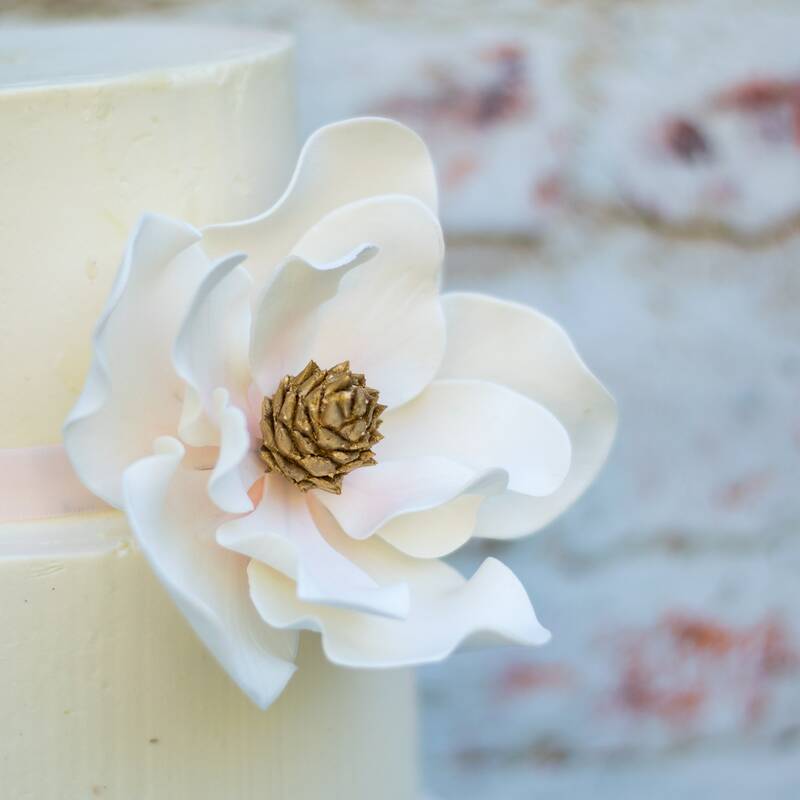 Sugar flowers make a wonderful keepsake for remembering your wedding cake and won't wilt like fresh flowers! 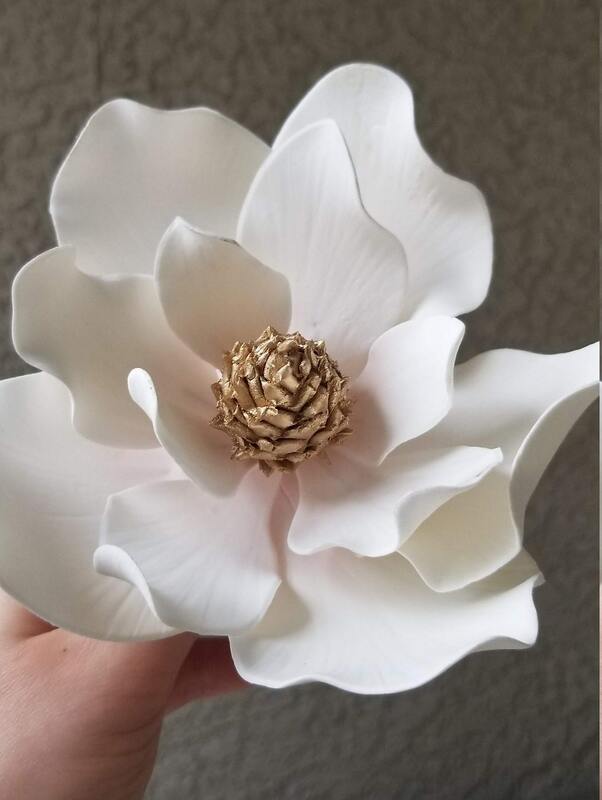 Sugar flowers are made with edible materials such as gumpaste, sugar, and egg whites. 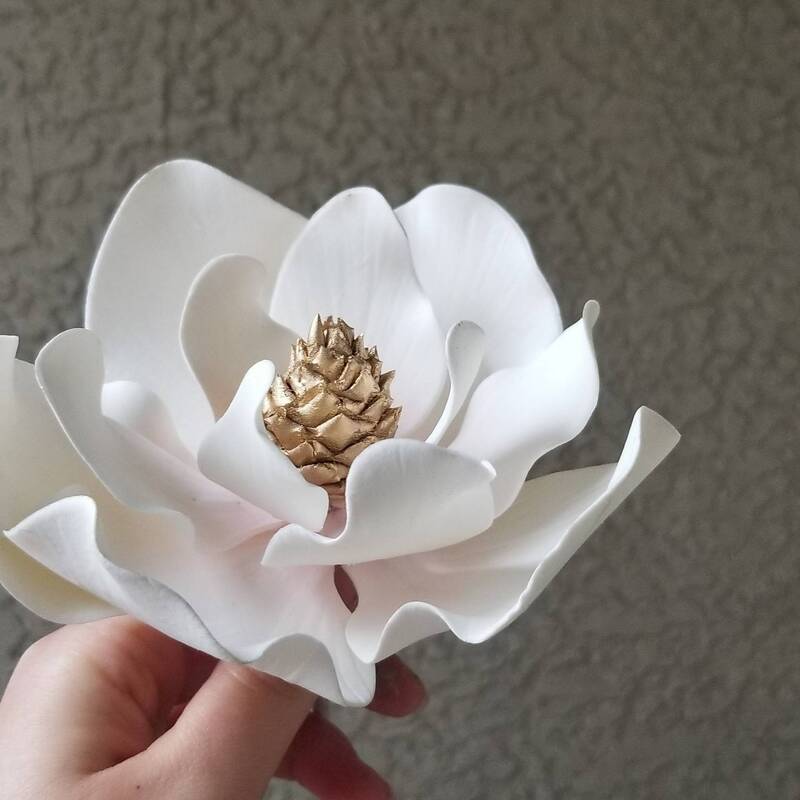 They also contain non-edible ingredients like floral wires, cotton or plastic stamens, or Styrofoam cores, therefore these flowers are for decorative use only and not for consumption. 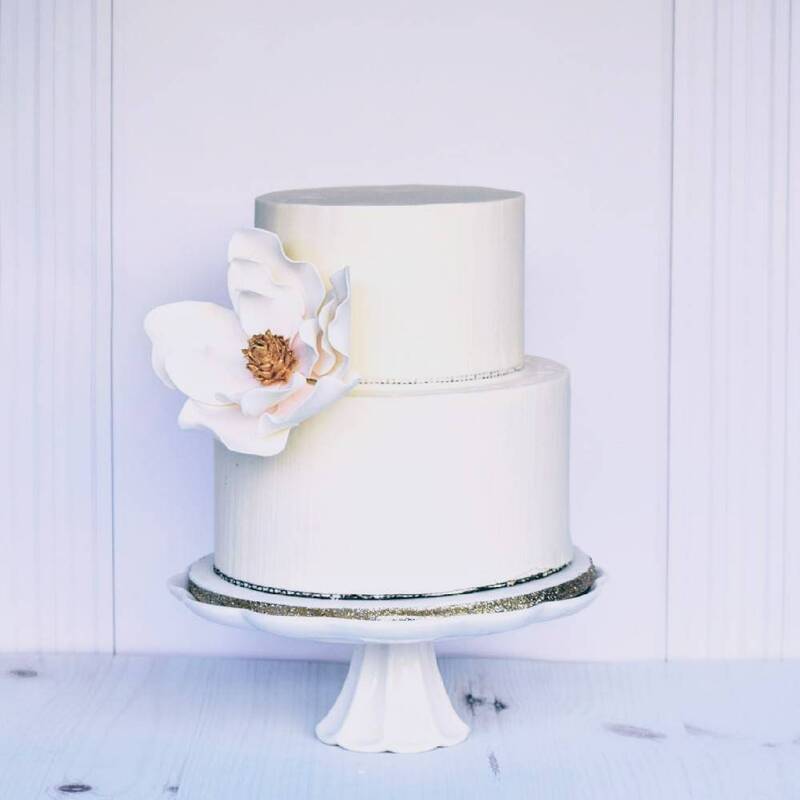 Please remove prior to serving cake.